To support the Canmore General Hospital and its patients and families, the CAHCF raises funds for needs that do not receive sufficient funding from other sources. Please see how donor funds are making a difference on a wide scale. Also check out our programs for other initiatives. 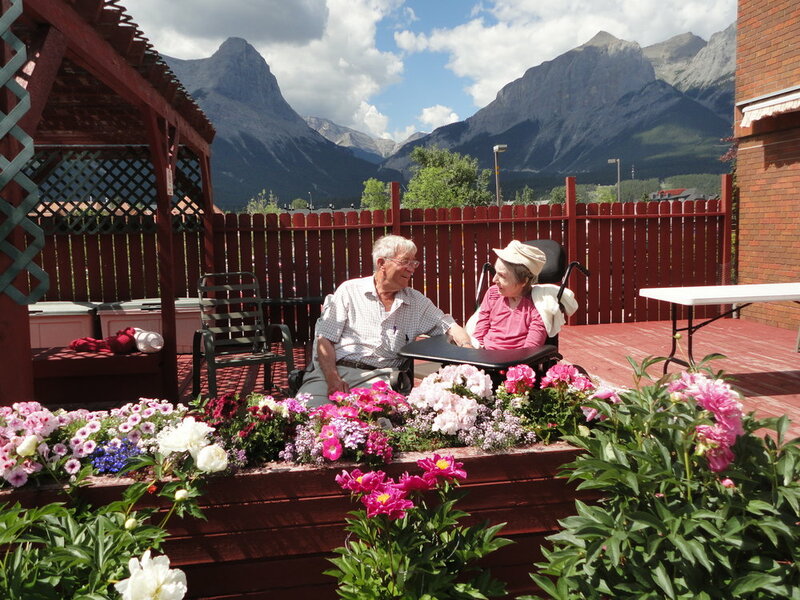 We continue to make improvements to the long-term care facilities in the Bow Valley. Our Feels Like Home project incorporates research-based renovations to improve the quality of life for our residents now and well into the future. Would you like a little privacy when you’re in the emergency room? Unfortunately, the current ER design is like an open-concept house, and you can easily overhear conversations happening in other areas. “There’s no real private place in our department to talk about your issues. If we can redesign within the confines of the foundation that we already have to make it more efficient, to put a few more beds in, to give some patients a bit more privacy, that’s what I would like to eventually see in this department,” says Dr. Wickham, lead emergency physician. That’s why CAHCF is now raising money for ER renovations and expansion. Please help us meet our target of $4.5-$4.8 million. One of our biggest successes is the Foundation’s $1,000,000 plus Endowment Fund designed to provide funds for the Foundation and hospital long into the future. The Foundation has adopted the principle of building an Endowment Fund to help guarantee the longevity of the Foundation to benefit the hospital and to augment the revenue that is raised specifically to cover the Foundation’s overhead. This endowment fund has been established with the Edmonton Community Foundation. As a donor, you can establish a named endowment under the Foundation’s endowment to act as a lasting legacy in your family’s name. Help us reach our $5,000,000 goal for the Endowment Fund. Your legacy will help ensure that funding will be available for excellent health care in the Bow Valley for years to come. We've signed up for the WinWin50 Staff Lottery! Any Albertan who is 18 years or older can take part in this lottery. You can specify the Canmore General Hospital as your hospital designation. For forty years, the Canmore Hospital Ladies Auxiliary has worked hard to raise money to meet the needs of Canmore Hospital. We appreciate the support of our community which has shared our heart for our hospital. Now opearting under the auspices of the Canmore and Area Health Care Foundation, you can help support the ladies auxiliarys’ goals or learn more about the merger. For over 18 years, donors like you have made a lasting impact on Bow Valley’s health care by donating to the Foundation. By adding medical equipment, programs, and entire hospital rooms, together we have made a difference.